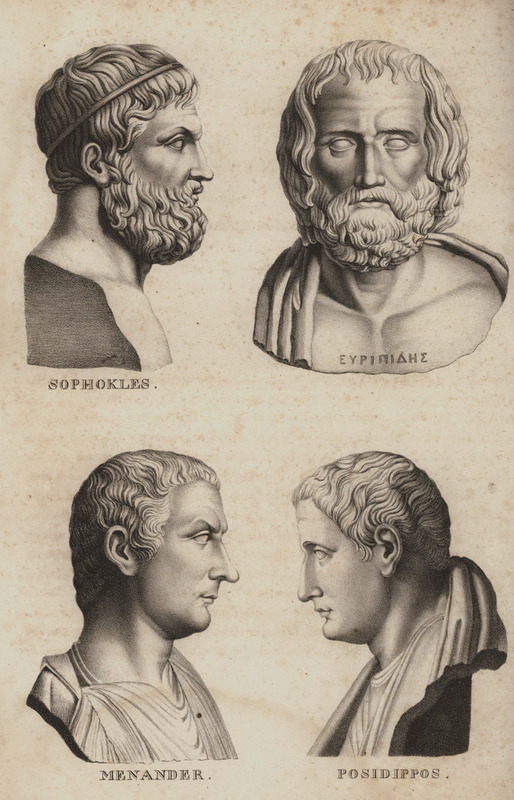 Busts of Sophocles, Euripides, Menander and Poseidippus. 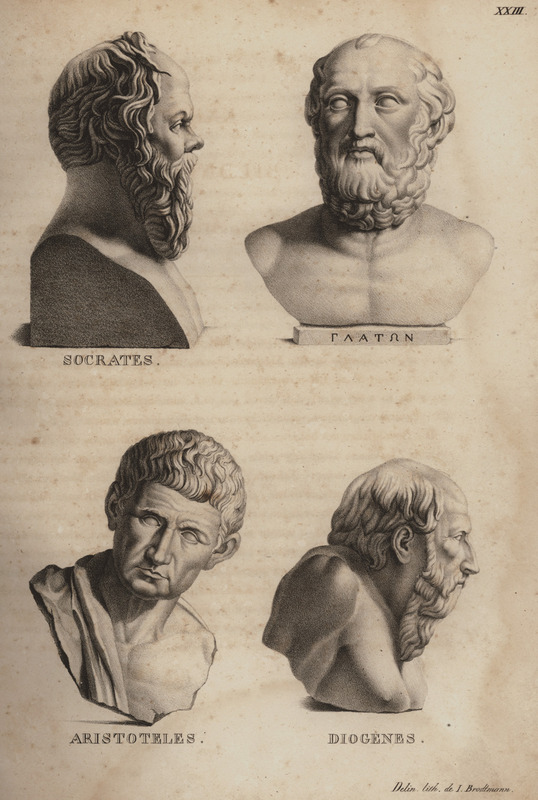 Busts of Socrates, Plato, Aristotle and Diogenes the Cynic. 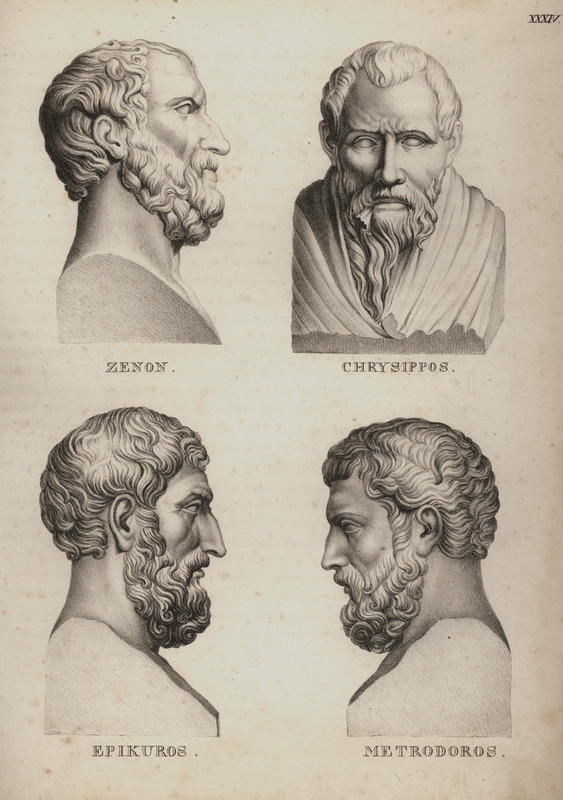 Busts of Zeno, Chrysippus, Epicurus and Metrodorus. 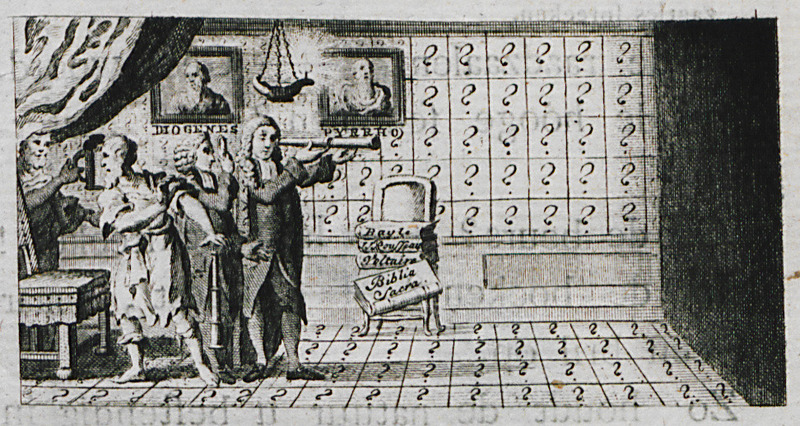 Allegory of the evolution of human thought and science.